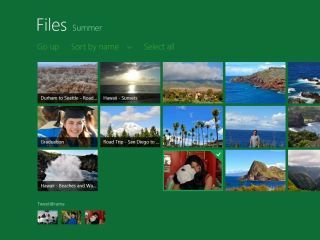 Windows 8 will come with a number of pre-installed apps, which look set to include things like messaging, mail and contacts. The apps will be in the Windows Phone Metro style and some, like messaging may incorporate mobile aspects like SMS support. The full list, acquired by The Verge, includes camera, messaging, mail, calendar, SkyDrive, people, photos, video and music. We should see all these apps and, possibly, more in the Windows 8 beta set for this month. None will be branded WIndows Live, as some Windows apps like Messenger currently are, but the Music and Video apps are said to be branded Zune at the moment, with plans to move this to Xbox Live for Windows in the long term. Speaking of Xbox Live, there's also a possibility that a Windows Phone-alike Xbox Live Companion app will come bundled in the consumer preview too. So, not exactly groundbreaking information, but rather another blank filled in in the great tech crossword puzzle that is Windows 8.